With its simple silhouette and neutral color palette, the Webster Slate Chair and a Half by Simmons Upholstery speaks versatility. 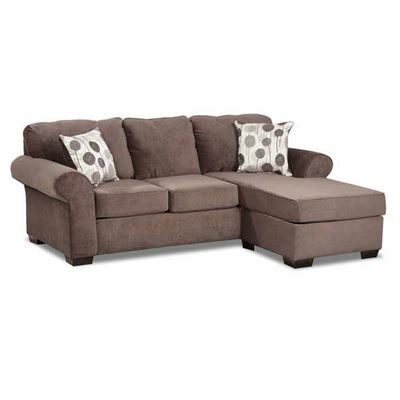 Its clean lines, flared track arms, and block feet combine with the slate-colored chenille upholstery to create a cozy feel that invites you to unwind. The included herringbone accent pillows feature a variety of green and brown hues to fit in with your existing decor. With its simple silhouette and neutral color palette, the Webster Slate Chair and a Half by Simmons Upholstery speaks versatility. Webster Slate Chair and a Half from United Simmons Upholstery. Chair is covered in a slate-colored, 100% polyester cover.